Sometimes, the urge to escape to somewhere far away becomes overwhelming. However, in a world where time is at more of a premium than ever before, spending a full two weeks away from home is no longer practical for many of us. 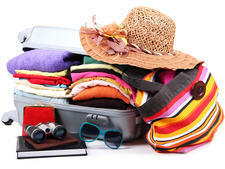 So why not consider a long-haul fly cruise for just a few days? From New York to Bermuda, Singapore to Thailand -- here's a roundup of some short, thrill filled runs for the sun guaranteed to have your work mates' jaws dropping in unison. The main criteria here is that you can do everything in just eight calendar days or less. See the sights, grab a tan, come back satisfied. Here's our guide to the top 8 long haul short break cruises from the U.K.
Twenty-one miles long and just two wide, Bermuda resembles a giant fish hook in shape, ringed by a string of blush pink beaches and peppered with secluded, rocky inlets lapped by warm blue waters. It's a renowned diver's paradise, sitting on its own almost seven hundred miles out in the Atlantic. The people are lauded for their politeness and, while the island is no cheap date, the quality of food and drink is second to none. See the amazing underground Crystal Caves, and make time to get around to the old capital at St. George's, a designated World Heritage Site. The waterfront at Hamilton is a yacht lover's haven, and the view from the top of Gibb's Hill lighthouse offers some rare, real perspectives across the entire sunlit sweep. 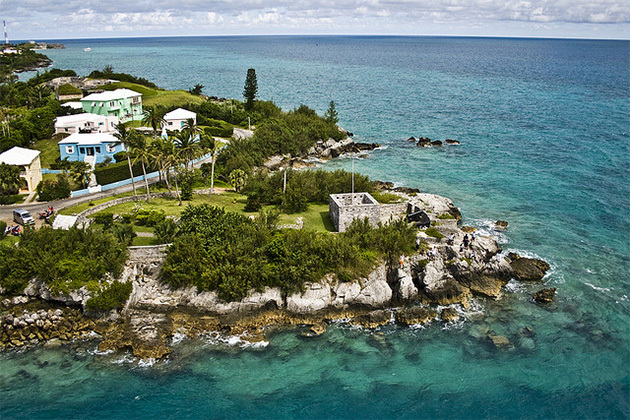 Best of all is that even the five-night cruises stay overnight in Bermuda, so you don't have to rush to try and see everything in one mad dash. 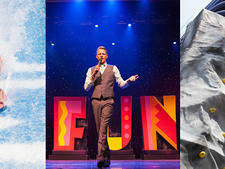 Dine ashore at night, or check out some local entertainment. And, en route, your travel schedule dictates you get a night out in either New York or Baltimore. What's not to love? Royal Caribbean's Grandeur of the Seas offers a five night cruise-only option to Bermuda from Baltimore on September 16th, including an overnight stay at King's Wharf. Sailings available through to October, and again in 2018. Anthem of the Seas offers an alternative take, sailing from New York's Cape Liberty cruise terminal. A five-night voyage sails from there on October 7th, again with an overnight stay at King's Wharf. Just a few hundred miles from mainland USA, the islands of the Caribbean are one sweeping, irresistible brew of sun, sea and stunning, bone white beaches. From the swaggering, salsa filled streets of newly open for business Havana in Cuba, to the idly waving date palms of Half Moon Cay, the Caribbean still has a cachet and an allure that makes it perhaps the ultimate short break in the winter months. Culture lovers can play at being Indiana Jones among the stunning Mayan temples on Cozumel, or just chill out in a beach side hammock with a book, a daiquiri, or both. Take out a jet ski, go para gliding above quirky, always welcoming Key West, with its historic links to Hemingway and the smugglers of old. It's those big, blue skies that really make the Caribbean so compelling, and the sound of gentle surf crashing on the beach soon drowns out memories of crowded winter commutes at home. Just a few miles from Florida, and yet a million from reality, the sights and sounds of the Caribbean will stay with you long after you've left the actual place far, far behind you. Princess Cruises' Crown Princess has a five night sailing from Fort Lauderdale, Florida to Cozumel and Roatan in the Bay Islands, Honduras. This itinerary also includes two full sea days. 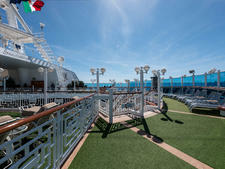 Norwegian Cruise Line has a four night cruise from Miami to Cuba, including an overnight stay in port at Havana. It's worth bearing in mind that the price also includes the company's Premium Drinks package. Flight Time: Around twelve hours from London to Singapore (overnight flight each way). These sailings from Singapore pack in a lot in just five days. Sailing from the great 'Lion City' of Singapore, you can head out to the highlights of Malaysia and Thailand. From Phuket, see Phang Na island, famous as the location for at least one Bond film. It shoots straight up out of the water like some giant, jagged molar. The beaches here really are the stuff of dreams; long, languid and blinding white for seemingly miles on end. You could be awed by the soaring bulk of the twin Petronas Towers in space age Kuala Lumpur, or go back in time to see ancient temples and pagodas in stunning, waterfront Penang. Or, sailing from the exotic melting pot that is Shanghai, you could chart a course for Okinawa, the fabled Japanese stronghold of the Pacific war, with its ancient UNESCO World Heritage Site of Shujiro Castle. In Singapore itself, you could make time for a visit to Sentosa Park, or indulge with an evocative (if eye wateringly expensive) Singapore Sling at Raffles, once claimed to be the 'Ritz of the Far East'. Royal Caribbean has a five night cruise itinerary from Shanghai to Okinawa on Quantum of the Seas. This departs on March 3rd, 2018, and includes an overnight call at Okinawa, plus two sea days en route. The same company also showcases a five night 'Spice of South East Asia' cruise on Mariner of the Seas, sailing from Singapore on February 24th, 2018. Ports of call are Port Klang (For Kuala Lumpur), Georgetown in Penang, and Phuket, as well as one full day at sea. 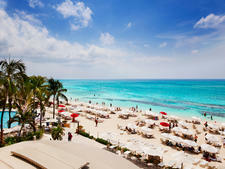 The most plentiful of all short cruise options has to be to the islands of the Bahamas. With such close proximity to continental U.S., there are sailings available from Miami, Fort Lauderdale, and Port Canaveral, too. 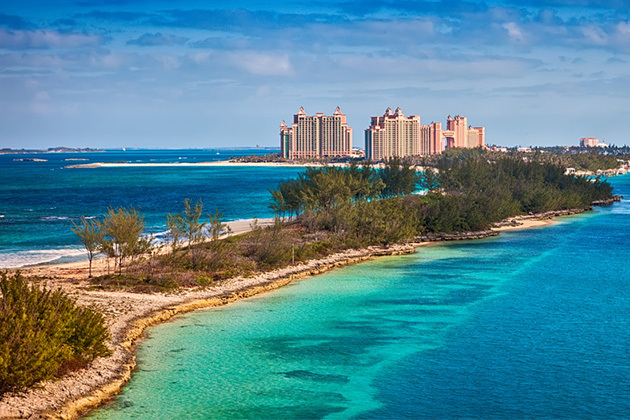 The capital of Nassau enjoys a reputation for fine beaches, extensive water sports, and gambling hot spots such as the vast Atlantis Casino and Resort. The shopping is extensive and, while the town has many fine, old world colonial style buildings, Nassau itself is short on historically important sites. The essence of any short Bahamas cruise is on fun in the sun. Companies such as Carnival, Norwegian Cruise Line and Royal Caribbean also have their own 'private islands', all of which come with numerous food and drinks outlets ashore, plus cabanas for rental, and typically they are set around a flawless sweep of sandy beach. You can usually hire jet skis and kayaks, and even go paragliding above some of them, or simply kick back on a sun lounger and watch the world go by. It's pretty much a no brainer of a trip, ideal for groups of friends or extended families looking to spend some quality time together. Royal Caribbean International offers three and four night Bahama cruises from Port Canaveral, the port for Orlando, aboard Majesty of the Seas. 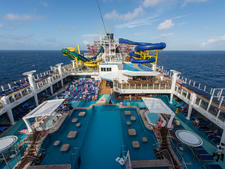 The three night itinerary sails on a Friday, and calls at Nassau and Royal Caribbean's private island, Coco Cay. The four day sailings depart on a Monday, and add a full day at sea to the ports of Nassau and Coco Cay. These cruises sail year round. Carnival Cruise Line offers a four day cruise from Miami on Carnival Ecstasy, with a full day at sea as the prelude to a call at the 'private island' of Half Moon Cay, plus an additional call into Nassau before returning to Miami. Flight Time: Around twelve hours from London to Cape Town. Note that these are overnight flights in either direction. Rich in natural beauty and famous for the vineyards that cling to its hinterland, Cape Town is a magnetic place for a short break. With its sunny, stable climate and spectacular Table Mountain forming an auspicious, cloud bathed backdrop, it's an exhilarating focal point for a series of short cruises. Durban is famous for flawless beaches drummed by breaking Atlantic rollers that make it a surfer's paradise. Some cruises also embark from here during the winter months, heading for Pomene in Mozambique. This is a beguiling mix of a stunning nature reserve that features free growing mangrove forests, coupled with a very laid back beach scene, and ample scope for scuba divers to explore a wealth of underwater coral reefs. And, with winter temperatures in the low thirties, there's ample sunning opportunities at hand, too. These cruises are usually also interspersed with at least one or two sea days, allowing for ample time to simply kick back and enjoy the on board vibe while cruising the generally calm and welcoming waters of the Indian Ocean. Typically, these itineraries operate over the winter months between November and March, and offer something very different to the norm. MSC Cruises offers a four night cruise aboard the mid-sized MSC Sinfonia, departing from the port of Durban on November 13th, 2017. The cruise features two full sea days, and a call at Pomene in Mozambique. The same cruise also operates on February 5th and 19th, 2018. A three night cruise sails from Cape Town to Durban, one way on January 19th, 2018, with two full sea days en route to Durban, and no ports of call. From Los Angeles, take a short, three or four night jaunt down to Mexico's port of Ensenada, with its famous blow hole and wide swathe of stunning beaches, and take a trip back in time to Catalina Island, a small slice of Fifties' Americana that sits snoozing in the sun, just twenty four miles from LA itself. Catalina's small capital of Avalon has a palm lined seafront promenade, lots of quirky arts and craft shops, and some of the best seafood you can experience anywhere on the Pacific coast. In terms of tempo and style, it's a laid back place that feels a million miles away from its big neighbour just across the sea. Most of these cruises also feature at least one full day at sea, ample time to catch a decent amount of sun. They typically tend to operate in spring and autumn, though Carnival does sail the region year round from the port of San Pedro. In terms of on board style, these trips generally feel a lot more relaxed and laid back than the more boisterous Caribbean and Bahamas itineraries that operate out of Florida. Princess Cruises offers a special, five night cruise aboard Ruby Princess on March 26th, 2018. Sailing from Los Angeles, it spends two full days at the Mexican seaside resort of Cabo San Lucas, bracketed by a day at sea going out and coming back. Carnival Cruise Line offers a year round, four night Baja Mexico itinerary out of Los Angeles' port of Long Beach. Typical is a December 10th, 2017 sailing on Carnival Imagination, calling at Catalina Island, Ensenada, and then closing with a full sea day en route back to Long Beach. 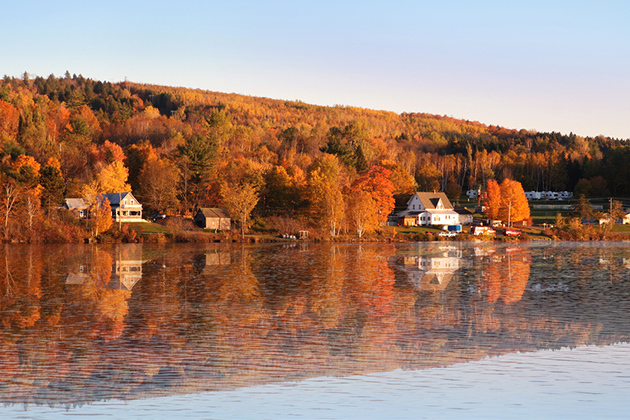 Canada and New England make for a short, exhilarating jaunt from either New York or Boston. Typically sailing in autumn, even a short cruise highlights the amazing, rugged seascape and glorious colours of the seasonal foliage to perfection. Bar Harbour is set in a spectacular natural amphitheatre of rolling greenery, dotted with small fishing boats bobbing idly at anchor, and serves up some of the best, freshly caught local lobster in the world. Further up the coast, Halifax has historic fortifications going back to the Napoleonic Wars, and an evocative maritime museum featuring many artefacts recovered from the Titanic. Expect sublime displays of multi-hued foliage, and a landscape studded with solitary lighthouses looming on wave swept promontories, waterfronts thronged by brightly coloured fishing boats and whalers, and a climate that can be surprisingly warm even in September. There are pine forests clinging to the edges of soaring, sea facing ravines, and the chance to see whales and maybe even sea lions frolicking in the Atlantic surf. Shorter New England itineraries are actually few and far between, but most manage to gift passengers at least one sea day along the way. They are typically the preserves of the larger operators as a rule. Royal Caribbean International has a five night cruise, departing from Boston aboard Serenade of the Seas on September 11th, 2018. Ports of call are Halifax, St. John (New Brunswick) and Bar Harbour, Maine. Gain a taste of two countries on a short, Pacific coastal cruise between Los Angeles and Vancouver, or vice versa. Typically sailing in the spring and autumn, these short, five night cruises usually take in such beautiful coastal cities as Victoria in British Columbia, and go right up to San Francisco, where overnight stays are included. Sailing under the Golden Gate bridge is still one of the best guaranteed adrenaline surges in cruising these days. You can see Alcatraz (and leave it too), or maybe enjoy a visit to cool, classy Santa Barbara, with its classically styled Mission and world famous vineyards. A few cruises even call into San Diego, the southernmost city on the west coast of the USA. With over seventy miles of beaches and a truly distinctive, Mediterranean feel all of its own, San Diego also boasts such sites as Balboa Park and zoo, and the historic Gaslamp district of restored Victorian- era buildings within walking distance of the port. Most itineraries usually include at least one full day at sea and, if you're sailing along the coast, you may have to fly into and out of different airports, too. Weather can be changeable, but is most often surprisingly mild. Norwegian Cruise Line has a five night sailing between Vancouver and Los Angeles aboard the brand new Norwegian Bliss, departing on September 30th, 2018. The itinerary calls in at both Victoria and San Francisco, before ending in Los Angeles. Princess Cruises offers a four night, round trip sailing on the Ruby Princess on February 22nd, 2018. This calls at both Santa Barbara and Ensenada, Mexico. The same voyage is also available on March 22nd and November 25th, 2018.